Thick, liquid formula clings for longer contact. Removes stubborn rust and mineral deposits. Kills staph, pseudomonas, salmonella, E. coli and HIV-1 (AIDS virus). 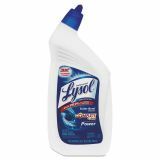 Professional LYSOL Brand Disinfectant Toilet Bowl Cleaner, 32 oz Bottle - Professional Lysol Advanced Deep Cleaning Power Toilet Bowl Cleaner kills 99.9 percent of bacteria and viruses including H1N1, MRSA, E. coli, HIV-1 (AIDS Virus), staphylococcus aureus and salmonella when used as directed. 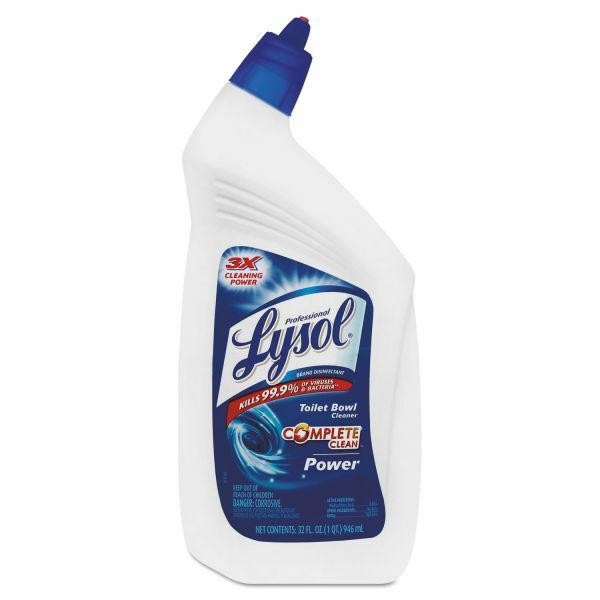 This product delivers three times the cleaning power to remove lime scale, rust stains and organic soil. Toilet bowl cleaner cleans as it disinfects. Tilted-head bottle makes getting underneath the rim a quick and easy process.